The first winners of the Music Moves Europe Talent Awards have been revealed. Following the announcement of the twenty-four nominees at Reeperbahn, an international jury selected twelve winners, who represent the European sound of today and tomorrow. Avec (AT) and Albin Lee Meldau (SE) [Singer-songwriter]. The Music Moves Europe Talent Awards are the new European Union Prize for popular and contemporary music. The prizes will be awarded at ESNS (Eurosonic Noorderslag) in Groningen. Additionally, the general public will select another winner from each category through the Public Choice Award through online voting, starting today. The Public Choice Award winners will be revealed at the award ceremony on Wednesday January 16, 2019. The aim of the Music Moves Europe Talent Awards is to celebrate new and upcoming artists from Europe and support them in order to help them develop and accelerate their international careers. Therefore, the prize package consists of €5000 tour and promotion support, several performances at ESNS, free publicity and a tailor made training programme. Succeeding the European Border Breakers Awards (EBBA), the annual Music Moves Europe Talent Awards are co-funded by the Creative Europe programme of the European Union, with the additional support of the Municipality of Groningen, Province of Groningen and the Dutch Ministry of Education, Culture and Science. The awards are presented by ESNS and Reeperbahn Festival, in cooperation with Yourope, the European Broadcasting Union (EBU), Independent Music Companies Association (IMPALA), International Music Managers Forum (IMMF), Liveurope, Live DMA, European Music Exporters Exchange (EMEE) and Digital Music Europe (DME). Music is one of the most popular forms of art, widely consumed, and a vibrant expression of Europe’s cultural diversity. Music Moves Europe, the overarching framework for the European Commission’s policies and actions in support of the European music sector, and Creative Europe, the EU funding programme for the culture and audiovisual sectors, aim to help the music sector flourish by, among other things, supporting the European Border Breakers Awards in previous years. As from now, to enhance creativity, diversity and competitiveness even better, this former prize is being replaced by the annual Music Moves Europe Talent Awards. Today, the nominees for the Music Moves Europe Talent Awards were announced at the Reeperbahn Festival in Hamburg, Germany. This brand new annual music prize celebrates emerging artists who represent the European sound of today and tomorrow. All winners will be presented at the award ceremony during the opening night of ESNS 2019. 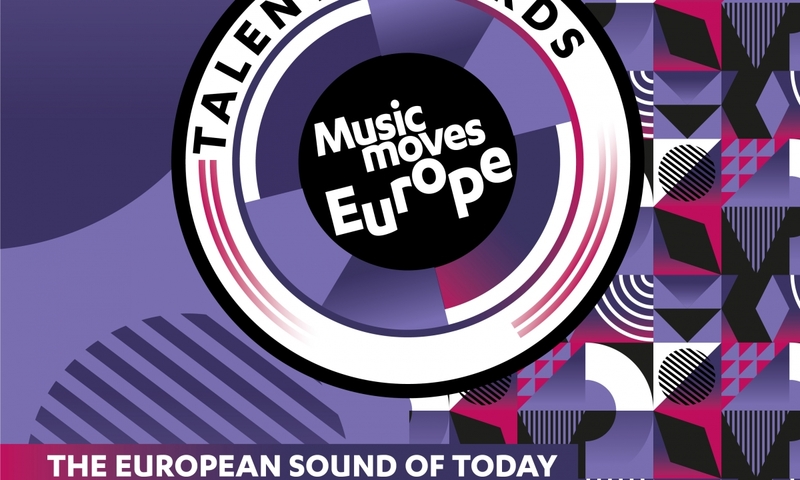 A total of twenty-four outstanding artists are nominated for the Music Moves Europe Talent Awards. An international jury will select two winners from each of the following six genres: pop, rock, electronic, r&b/urban, hip-hop/rap and singer-songwriter. All twelve winning artists will be rewarded with a performance at ESNS, a training programme and financial support for touring and promotion. Furthermore, all winners compete for a public choice award, which will be announced at the award ceremony during ESNS, January 19th, 2019. Compared to Anglo-American music, the total percentage of music originating from continental Europe is relatively small. The Music Moves Europe Talent Awards​ ​are designed to accelerate the international careers of upcoming European artists. The Music Moves Europe Talent Awards are organised by ESNS and Reeperbahn Festival in partnership with Yourope, Independent Music Companies Association (IMPALA), International Music Managers Forum (IMMF), Liveurope, Live DMA, European Music Exporters Exchange (EMEE), Digital Music Europe (DME) and media partner European Broadcasting Union (EBU), with support from the Dutch Ministry of Education, Culture and Science, Province of Groningen and the City of Groningen. The awards are implemented in close cooperation with the European Commission and financially supported by Creative Europe. The opening night of Eurosonic Noorderslag (ESNS) will see the presentations of the European Border Breakers Awards (EBBA) to the most successful European acts of the moment. The TV show can be seen live at Wednesday January 17th at 7.15 PM (CET) through the EBBA website. This will include performances of Alice Merton, Alma, Blanche, Kristian Kostov, Off Bloom, Sigrid, Skott and Youngr among others. On top of that the winner of the Public Choice Award will be revealed. 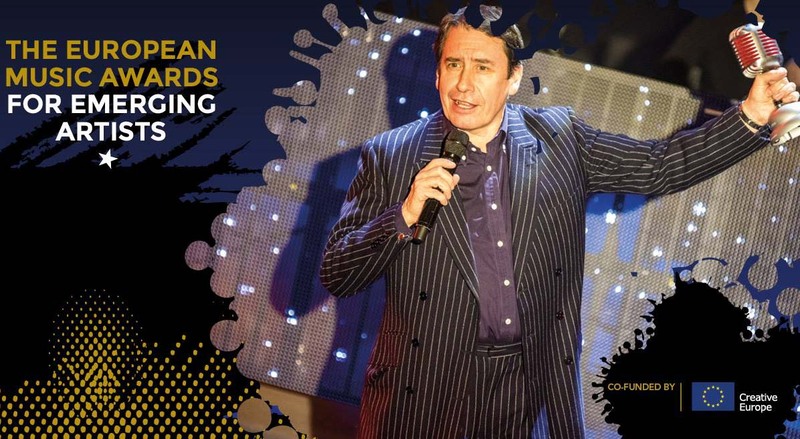 The EBBA ceremony is presented by musician and BBC TV host Jools Holland. During the show he will announce the EBBA-winning artist that has attracted the most votes and thereby wins the Public Choice Award. Last year it was Dua Lipa who won the award. You can watch the show live through the European Border Breakers Awards website (www.europeanborderbreakersawards.eu). EBBA celebrates new and groundbreaking artists who create the music of today and tomorrow. The list of EBBA winners features many remarkable European artists of the last few years, like: Adele, Christine & the Queens, Dua Lipa, Stromae, Gabriel Rios, Hozier, Of Monsters and Men, Mumford & Sons, Aurora, Disclosure, John Newman, C2C, Tokio Hotel, The Script, Years and Years, Robin Schulz, Carnival Youth, MØ and Melanie di Biasio. From enthusiastic music fans to an industry that devotes itself to making the music that you love; ‘Music Moves Europe’. The EBBA is one of the ways in which the EU celebrates European musical diversity and unites fans, artists and the industry. Each year ten European artists receive an EBBA for the success of their first release outside their home territory. This success is measured by airplay, sales and live shows in Europe and the position on the European Border Breakers Charts. Artists that qualify for EBBA 2018 have experienced groundbreaking success with their first international release in Europe between August 1 2016 and July 31 2017. Alongside that, they have to come from a country that participates in the EU’s Creative Europe programme. EBBA, now in its 15th year, is an EU prize, set up by ESNS in co-operation with the European Commission (Creative Europe) and the European Broadcasting Union, supported by Buma Cultuur, the Dutch Ministry of Education, Culture and Science, the province of Groningen, the city of Groningen and MartiniPlaza. Vote for your favourite EBBA winner and win a trip to the EBBA show and Eurosonic music festival. The awards recognise new acts based on success outside their own country, and from now until Christmas, music fans can vote online for their favourite EBBA winner. The act that receives the most votes will win the ‘Public Choice Award’. All the winners will feature in the award show, hosted by musician and presenter Jools Holland. Watch the show live on Wednesday the 17th of January, 7:15 PM CET on the European Border Breaker website (www.europeanborderbreakersawards.eu). From December 4th until Christmas, fans are invited to vote for their favourite artist among the winners on the European Border Breaker website (www.europeanborderbreakersawards.eu). The winner of Public Choice Award will be revealed at the EBBA ceremony live in Groningen. Last year’s Public Choice Award winner, emerging UK artist Dua Lipa, has gone on to become a chart-topping act. By voting, European music fans are in with a chance of winning an expenses-paid trip to Groningen to attend the award show and the Eurosonic festival. Up to ten voters, chosen at random from different countries, will be invited to the award ceremony. Each will be able to bring a friend with flight and hotel costs covered. The EBBA celebrate new, border-breaking artists who create today’s and tomorrow’s music. From Adele (United Kingdom) to Christine & the Queens (France), EBBA winners represent some of the standout European artists of recent years. Other previous winners include Dua Lipa, Stromae, Gabriel Rios, Hozier, Of Monsters and Men, Mumford & Sons, Aurora, Disclosure, John Newman, C2C, Tokio Hotel, The Script, Years and Years, Robin Schulz, Carnival Youth, MØ and Melanie di Biasio. From enthusiastic gig-goers out on the weekend to the industry dedicated to making the music you love, it is clear that Music Moves Europe. 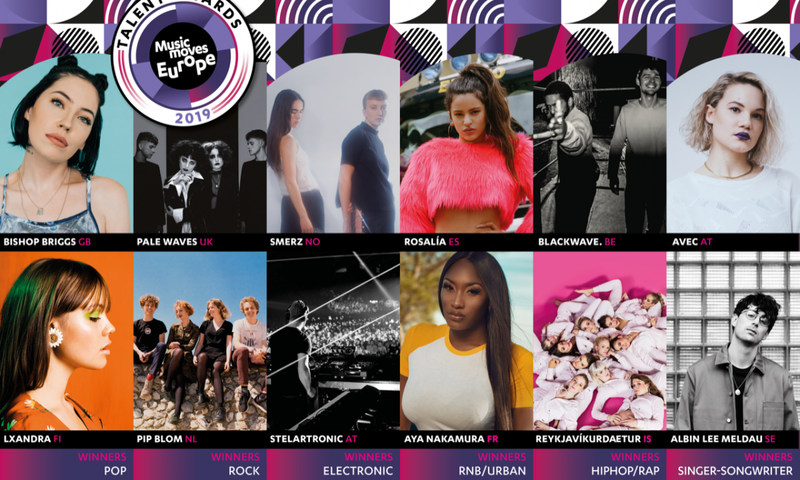 The EBBA are one of the ways the EU celebrates European popular and contemporary music, bringing the artists, the industry and the fans together to celebrate the very best of European musical diversity. Every year, 10 European artists receive an EBBA in recognition of their success in countries other than their own. This success is measured through a combination of airplay, sales, live performances in Europe, and position in the European Border Breakers Charts. To be eligible for the 2018 awards, the artists must have achieved border-breaking success with their first international release in Europe between 1st August 2016 and 31 July 2017 and originate from a country participating in the EU’s Creative Europe programme. Helsinki, Finland, December 1th: Alma is confirmed as a winner of a 2018 European Border Breakers Award (EBBA), the European music award for emerging artists who have seen outstanding success across Europe. Alma was surprised by DJ Anne Lainto live on Uuden musiikin Aamuvuoro at YleX Radio. 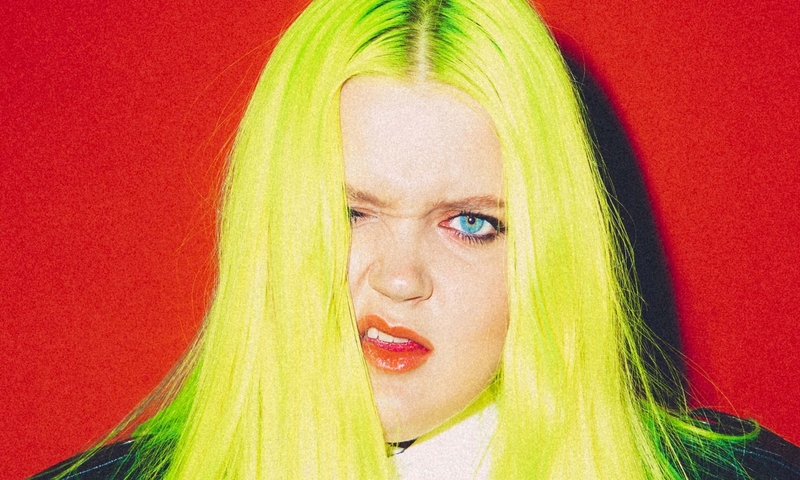 The 21-year-old Finnish songwriter ALMA is known for her musical talent and songwriting. Debut song Karma is one of those instant pop gems that earned her two Finnish Grammys and comparisons to Rihanna, or ‘the voice of Amy Winehouse with Crystal Castles’ electronic pop’. She scores smash hit after smash hit (with German EDM-producer Felix Jaehn and recently American hip hop artist French Montana), is signed to Universal Music and made quite an impression at the BBC Radio 1 Future Festival and at Eurosonic 2017. She’s currently working on her debut album with the likes of MNEK, Rudimental, Gorgon City, Sub Focus, 2 Inch Punch and Charli XCX. 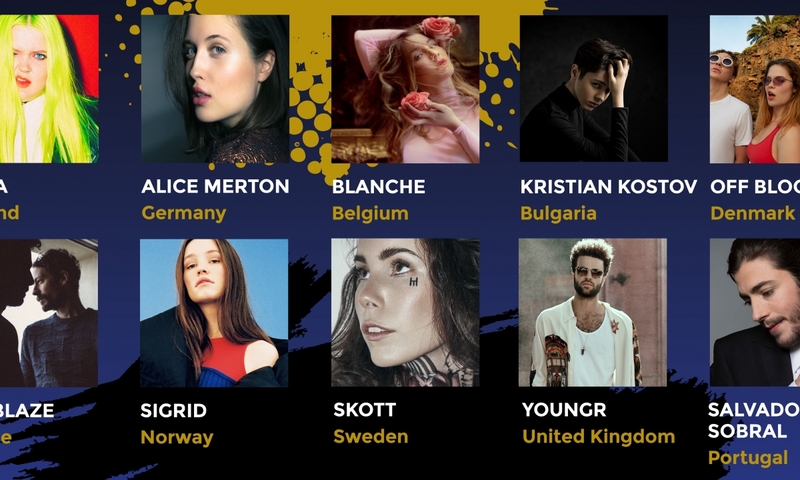 Earlier, Kristian Kostov (Bulgaria), Youngr (UK), Blanche (Belgium), Alice Merton (Germany), Sigrid (Norway), Skott (Sweden), Off Bloom (Denmark) and Salvador Sobral (Portugal) were also announced as winners of an EBBA. The winners will receive their award in a ceremony hosted by TV personality and musician Jools Holland at the Eurosonic Noorderslag festival in Groningen, Netherlands, on 17 January 2018. The ceremony will also feature performances by the winning acts. All EBBA winners are also in the running to win the Public Choice Award. Fans from all over the world can vote online from December 4th up to Christmas for their favourite emerging artist. The winner of the Public Choice Award will be announced during the EBBA ceremony at the Eurosonic Noorderslag festival in Groningen. Up to ten voters, chosen at random from different countries, will be invited to the award ceremony. Each winner will be able to bring a friend with the flight and hotel costs covered by Eurosonic Noorderslag. The EBBA celebrate new and border-breaking artists who create today and tomorrow’s music. From Dua Lipa (UK) to Alan Walker (Norway), the EBBA winners represent some of the standout European sounds of recent years. Other previous winners include Adele, Christine & the Queens, Stromae, Gabriel Rios, Hozier, Of Monsters and Men, Mumford & Sons, Aurora, Disclosure, John Newman, C2C, Tokio Hotel, The Script, Years and Years, Robin Schulz, Carnival Youth, MØ and Selah Sue. From the group of enthusiastic gig-goers out on the weekend to the industry dedicated to making the music you love, it is clear that Music Moves Europe. The EBBA are one of the EU’s ways of celebrating European popular and contemporary music, by bringing the artists, the industry and the fans together to celebrate European music. Every year, 10 European artists receive an EBBA in recognition of their success in countries other than their own. This success is measured by a combination of airplay, sales, live performances in Europe, and position in the European Border Breakers Charts. To be eligible for the 2018 awards, the artists must have achieved border-breaking success with their first international release in Europe between 1 August 2016 and 31 July 2017 and come from a country participating in the EU’s Creative Europe programme. The EBBA, now in their 15th year, is an EU Prize, organised by Eurosonic Noorderslag in partnership with the European Commission (Creative Europe) and the European Broadcasting Union, with support from Buma Cultuur, the Dutch Ministry of Education, Culture and Science, Province of Groningen, the City of Groningen and Music Week.